Ben Franklin Welcomes Mrs. Wolf! 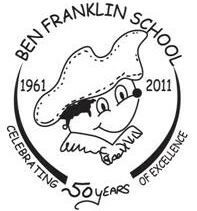 Dear Ben Franklin families, I am pleased to announce that we have selected Mrs. Dawn Wolf as Ben Franklin’s school counselor when Mrs. Megan Umbach begins her maternity leave beginning in December. Mrs. Wolf is a familiar face to Ben Franklin. She was a school counselor here several years ago and is a current BF parent as well. 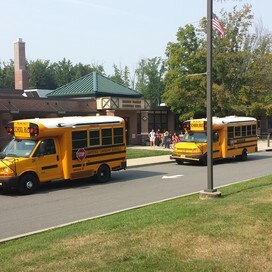 Mrs. Wolf comes to us as a well-qualified LTPS school counselor returning from her own leave. Mrs. Wolf will start at Ben Franklin in January and has already been in contact with Mrs. Umbach establishing a smooth transition. During the month of December, Ms. Ashley Craven, our school social worker, will be available to assist students and families. Ms. Craven has worked closely with Mrs. Umbach these past few months and comes with a strong background in working with students. Several other staff members will also be assisting with many of the other initiatives and programs Mrs. Umbach leads such as Spirit Day, Take Care Awards, and the like. I am pleased to welcome Mrs. Dawn Wolf to our Ben Franklin Elementary School community in this new role. I am confident that the excellent counseling services and programs your child is experiencing will continue during Mrs. Umbach's leave. Want to receive text messages from Ben Franklin Elementary School?